Documenting the struggle against HIV and AIDS in black communities. WARNING: Spoilers for Tyler Perry’s Temptation ahead, although if you’re reading this, you probably already know what they are. For the estimated 300,000 women living with HIV in the United States, Tyler Perry’s Temptation preys on the worst of all that. For this, I charge him with at least 300,000 counts of self-doubt and recrimination, a million moments of fear and hopelessness, hundreds of failures to disclose, countless refused HIV tests, thousands of missed medical appointments, suicides, homicides, and setting us back in our HIV response for over than a decade. I must confess to never having seen any of Perry’s work, but he is an extremely successful filmmaker as far as the box office is concerned, even as he regularly draws the ire of film and cultural critics alike. At an academic conference at Northwestern, appropriately titled “Madea’s Big Scholarly Roundtable,” black academics picked apart Perry’s work for all of the ways that it reinforces norms of heterosexual patriarchy and conservative Christianity, both of which seem to be on display in Temptation. 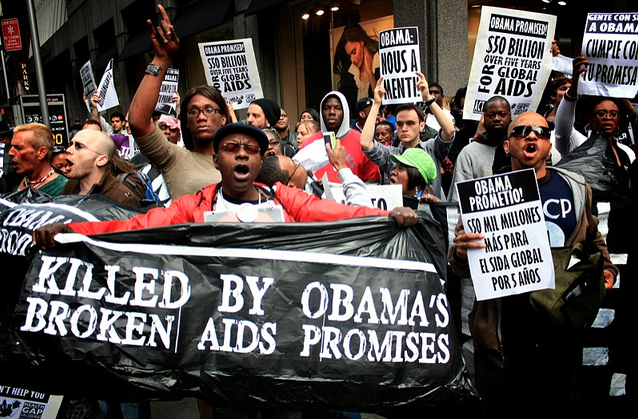 No doubt, HIV/AIDS is a serious disease, and one that disproportionately affects African American women. Representations of that reality should do justice to the complexity of HIV-positive women’s lives, struggles, and successes. The disease is not a blunt storytelling instrument of moral condemnation, and using it as such is an insult to the women whose everyday courage proves otherwise. Interview with Rashidah Abdul-Khabeer now available!